For example: “If your children have found The Force, or are just small and kind of greenish they will love the afternoon of free intergalactic Star Wars activities at the Santa Clarita Library”. There are lots of different ways to get this information other than listening to the segment. You can read the blog titled “Top 5 Family Activities in Santa Clarita” by visitingwww.hometownstation.com, follow the hashtag #buzzLA on twitter, or subscribe to the newsletter. Laura was always being asked about what activities there are to do in the LA area with kids during the weekend, and this is how her twitter feed came about. 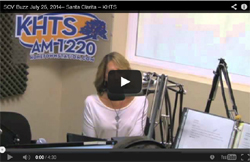 Santa Clarita is a great place to raise a family, so she wanted to create a family specific resource that provided activities in the immediate area. 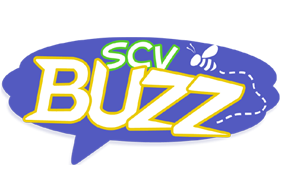 SCV Buzz is the perfect place to go each week so you never miss an opportunity to have fun and create memories with your family. Laura Nickerson is a well-known host who has recently been seen covering elections, events, and hosting the weekly show “The Buzz” for CTV, hosting and producing the television and radio show “Broad Topics”, anchoring the weekly news for Dance Channel TV, reporting the traffic for Clear Channel Radio stations including KFI and KTLK, hosting for AfterBuzz TV’s Beauty and the Beast after show, and performing as Emcee at live events.